Join us in celebrating Canadian Gymnastics Week 2019! Each day of the week will have it’s own theme based on one of the seven fundamental movement patterns, and a hashtag to match! 3. A WINNER will be chosen each day by Gymnastics Ontario based on that day’s fundamental movement pattern. Don’t forget to check the schedule to plan ahead to enter each day’s contest! 4. 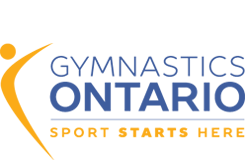 Only Gymnastics Ontario member clubs are eligible to win prizes. Prizes from Gymnastics Ontario will be announced with the winners. Gymnastics Canada is also running a photo contest. Click the image to visit the official website for Canadian Gymnastics Week for more information.